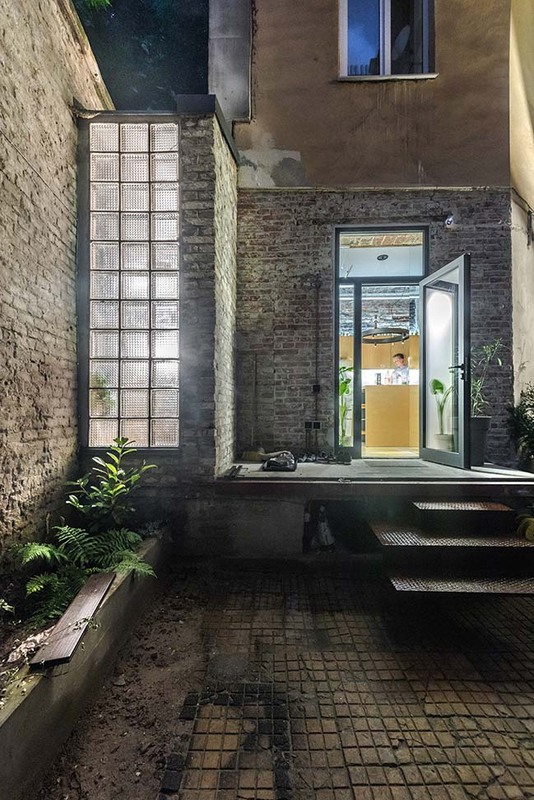 Completed by RE + design bureau. 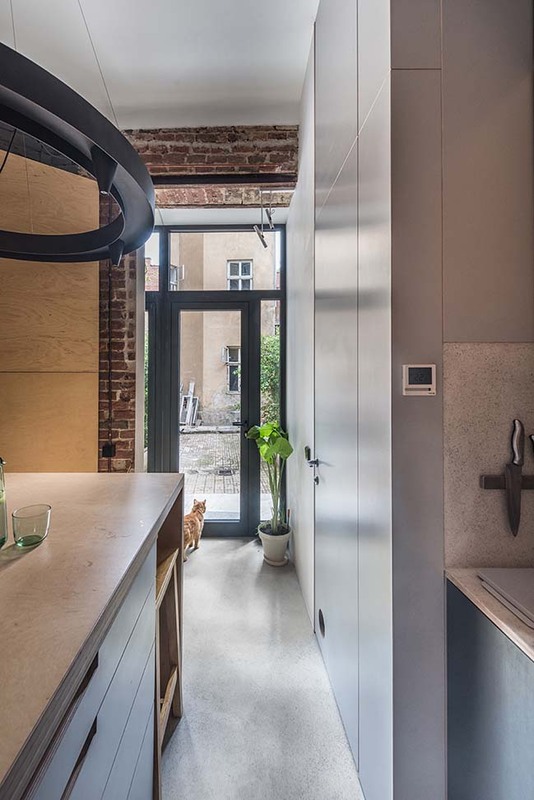 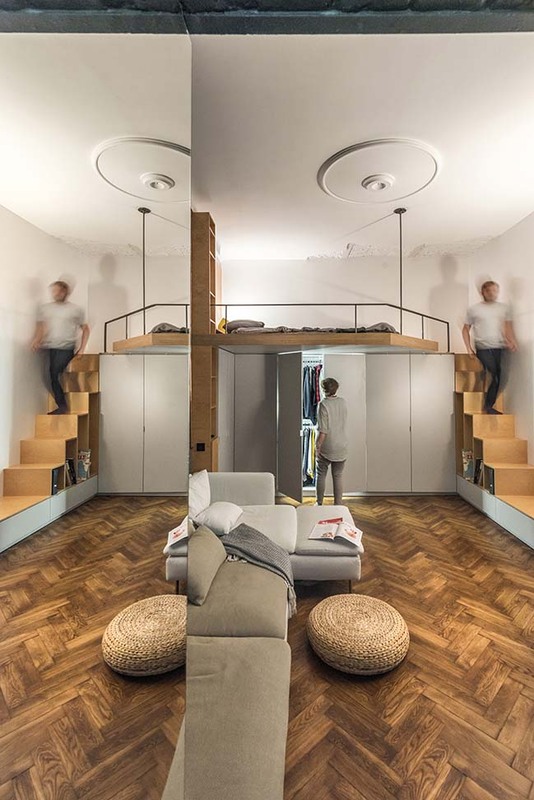 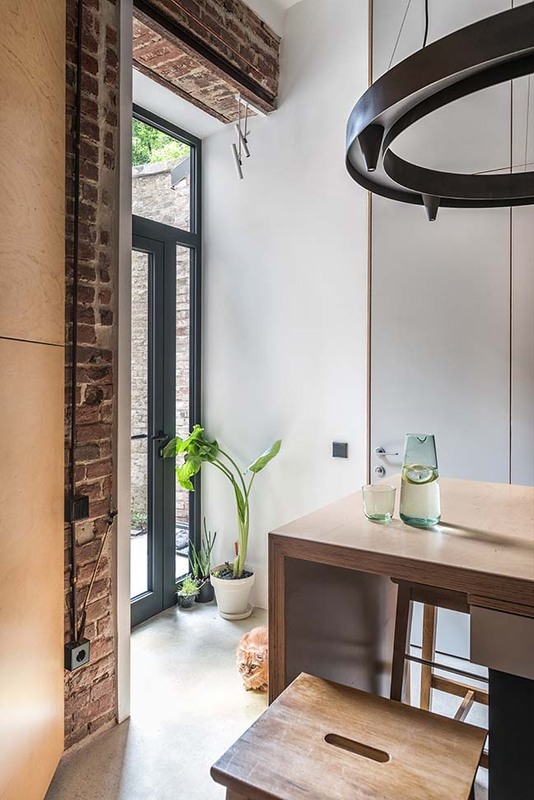 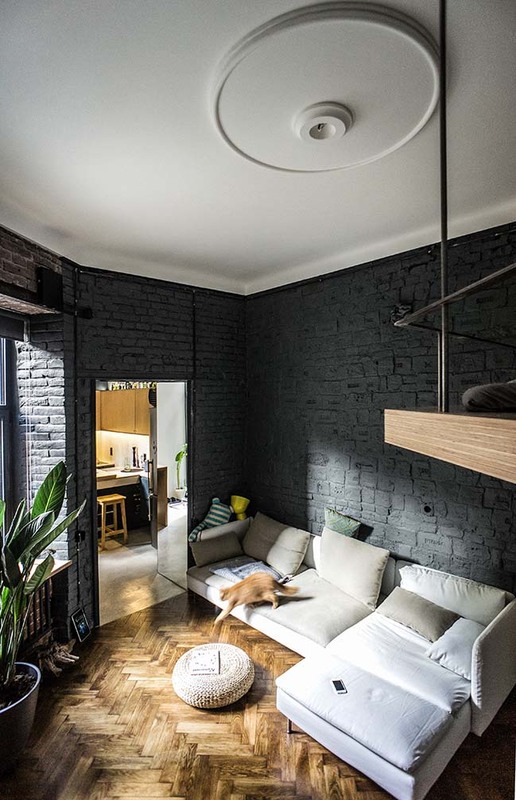 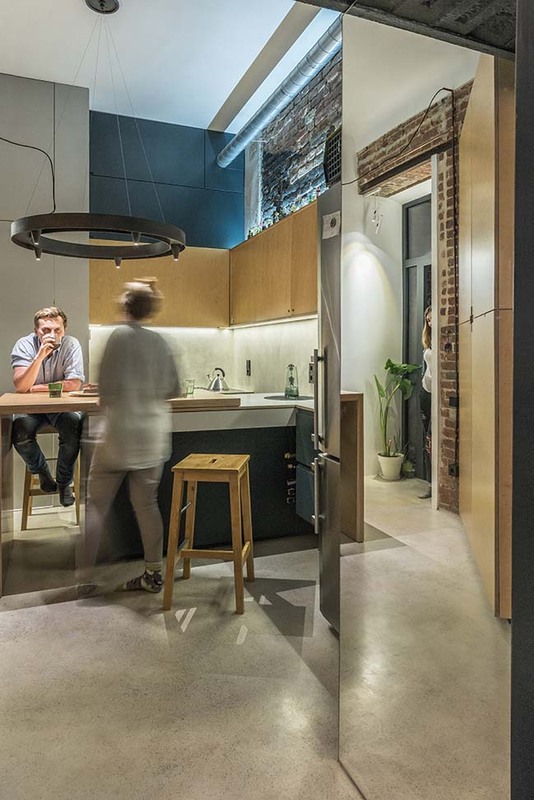 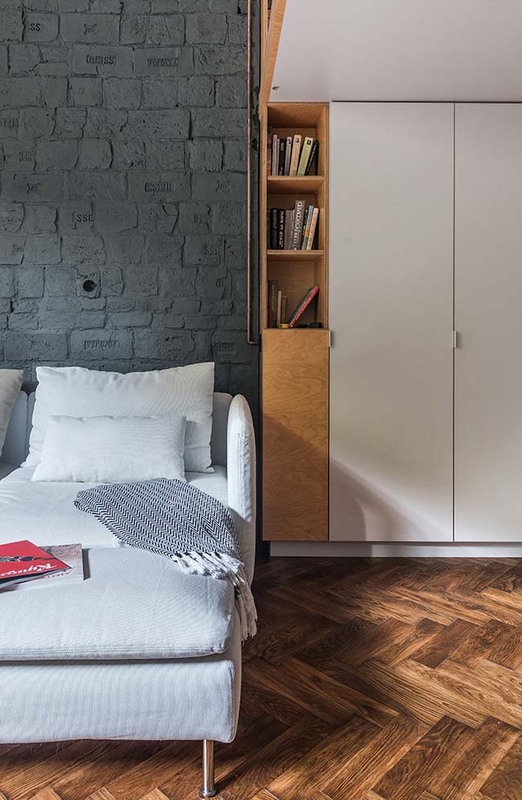 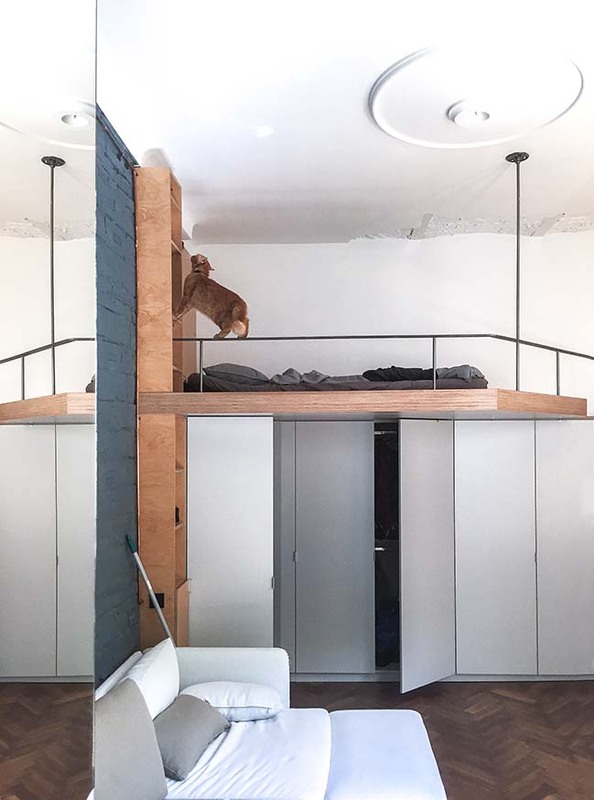 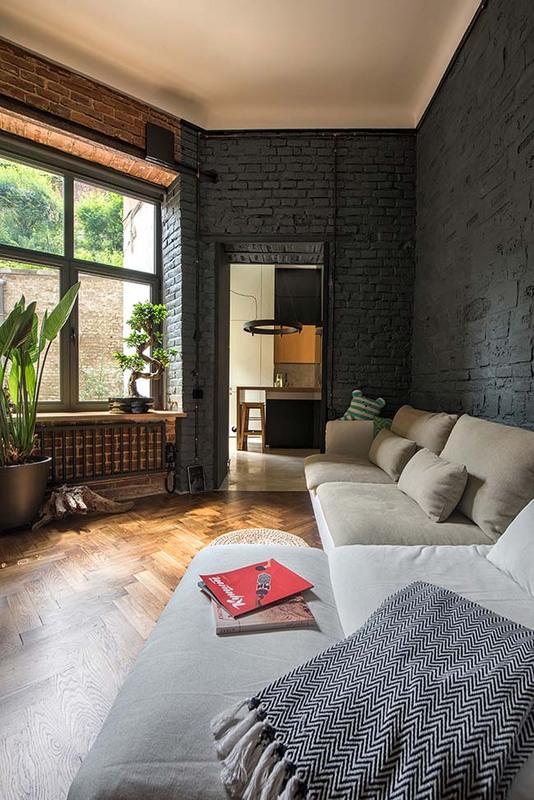 Minima is a small apartment in the heart of the old city Lviv that is made as simple as possible. 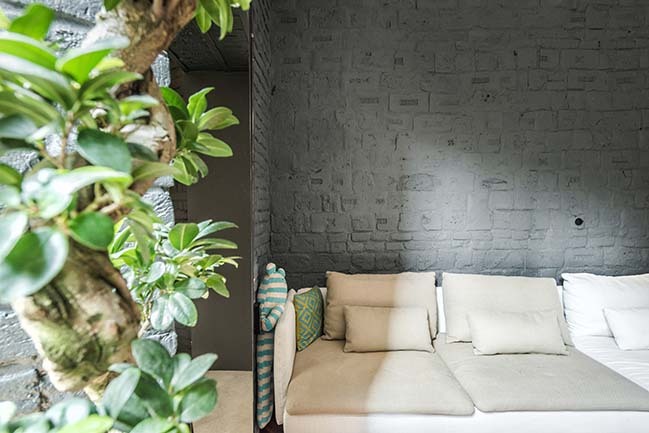 Project description: Designers wanted to make modern space, so literally every inch is used with a certain funky. 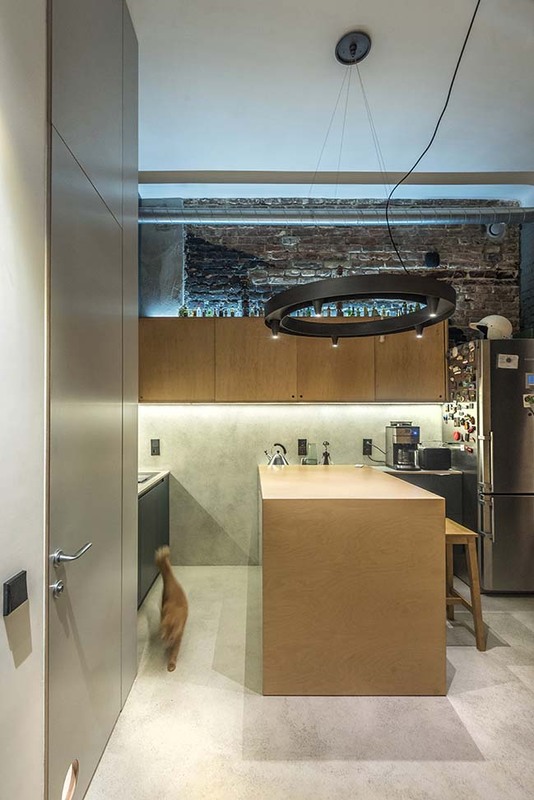 Little cuisine contained all the components necessary for a young family, and the center of communication became a large island, which can be fought by necessity and become even larger, or quite compact. 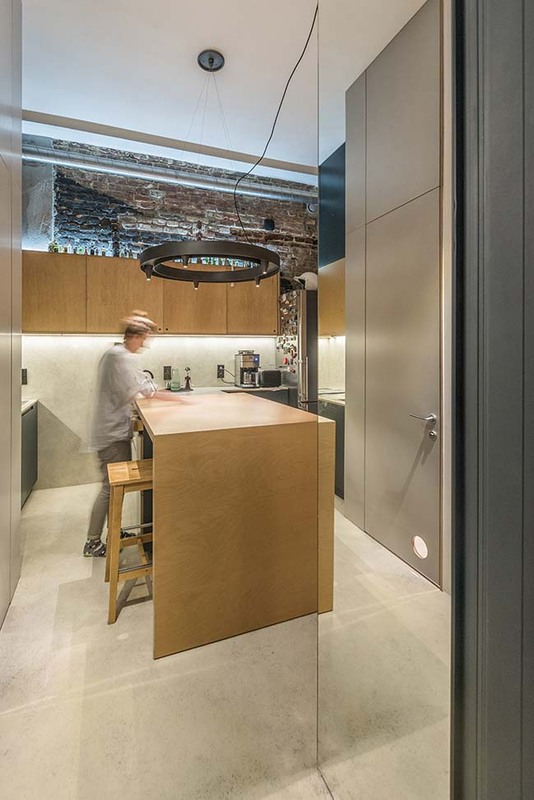 The laminated plywood was the main material, as well as mirrors. 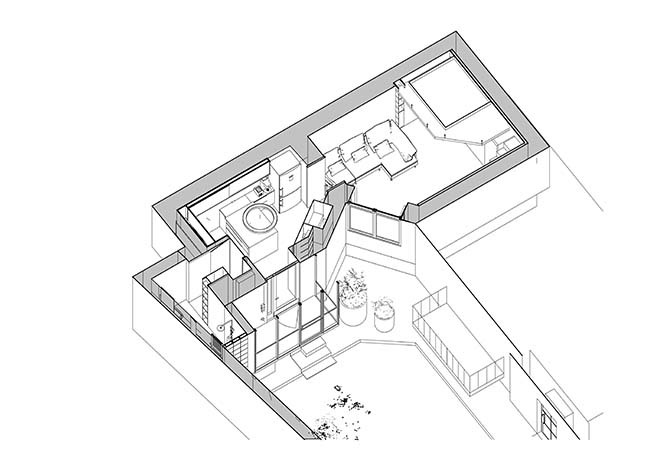 All furniture filling was made by designers sketches, working with each node. 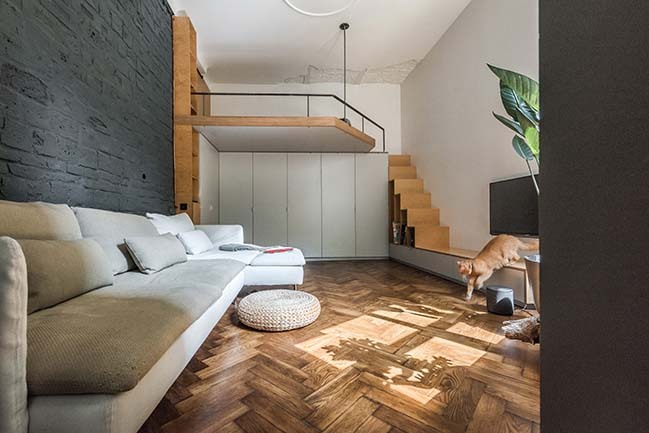 During the reconstruction, architects managed to preserve the old Austrian parquet, with its versatile color. 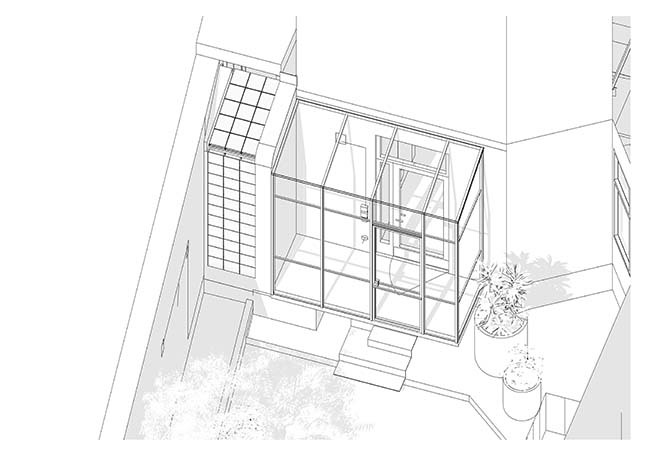 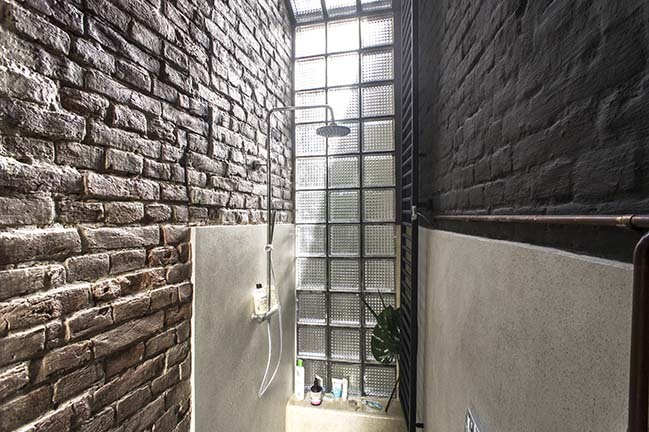 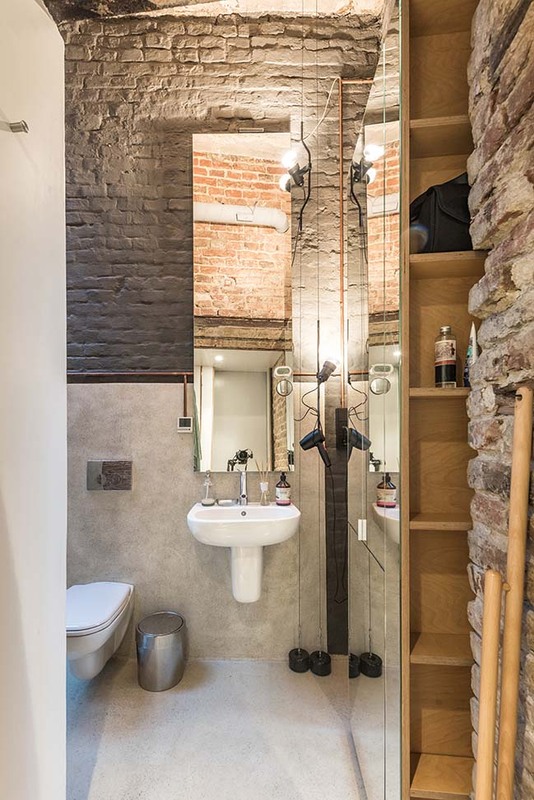 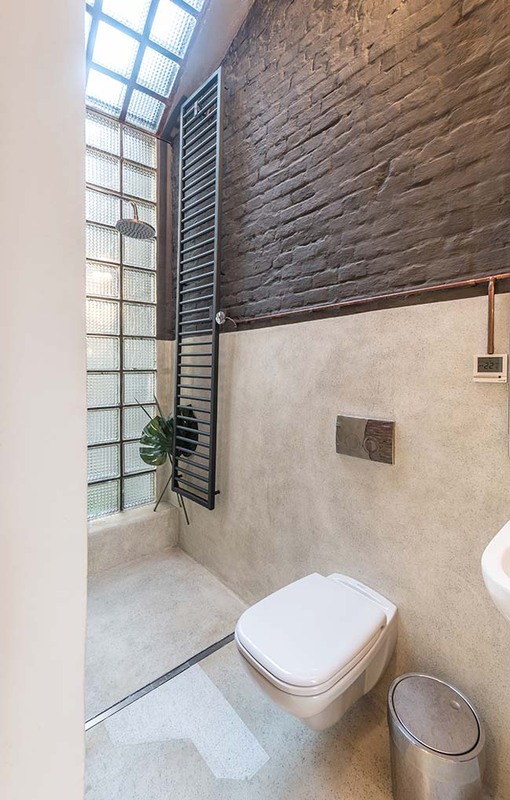 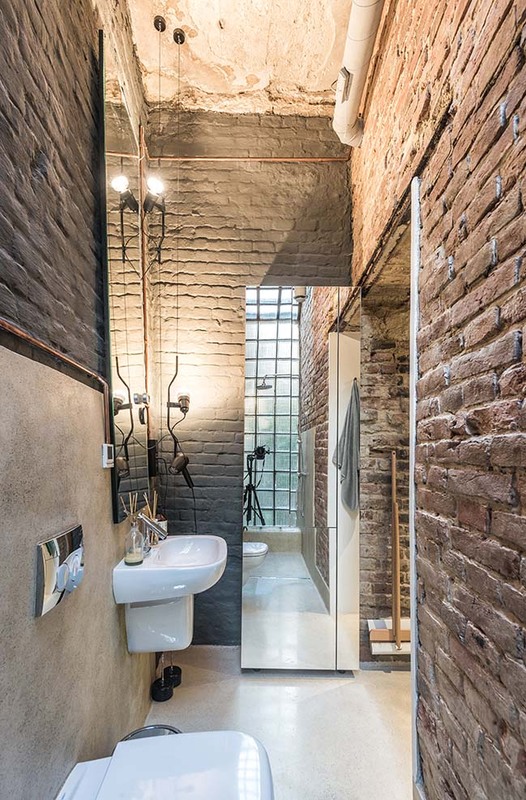 Large spacious shower, with a glass roof adds a special uniqueness to this apartment, and fills with energy at first sight. 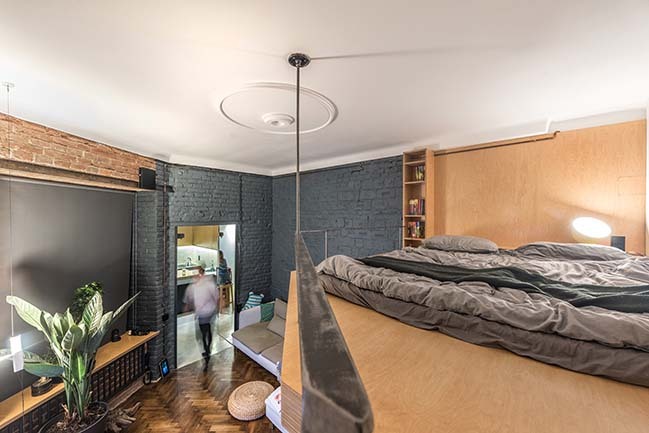 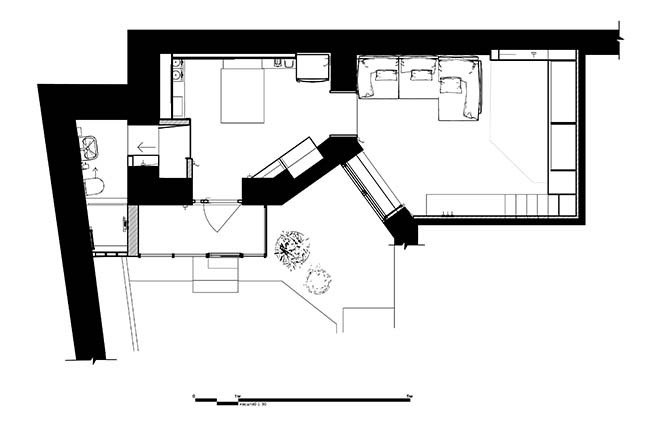 In order to divide a single room into different zones - the bed was carried to a higher level, having drunk it visually. 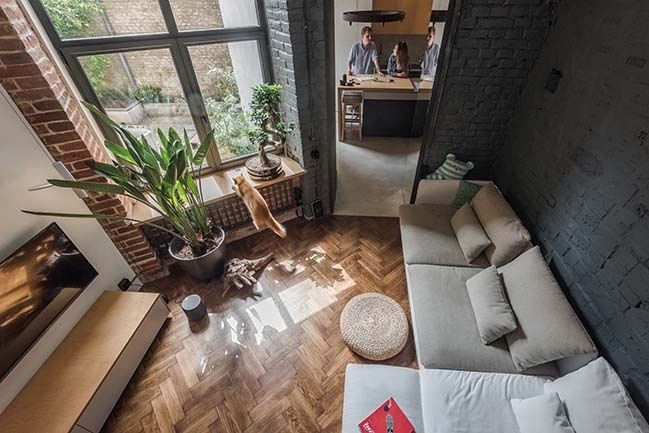 The apartment is in harmony with the rhythm and style of life of its owners.